Hope you are all enjoying the fresh Summer in Silicon Valley! As opposed to Summer, the Silicon Valley Real Estate has heated up over the past few months, and many homeowners in the Bay Area are currently thinking twice about getting back to the real estate market. There has probably never been a better time in the last 5 years to list your house given the unsatisfied housing demand in Silicon Valley due to the very low inventory all around the Bay Area. Many Silicon Valley Realtors are also prepping for the next wave of short sales expected in Silicon Valley as a result of new guidelines to expedite short sales processing by Freddie Mac and Fannie Mae as well as tax breaks still available until the end of 2012. 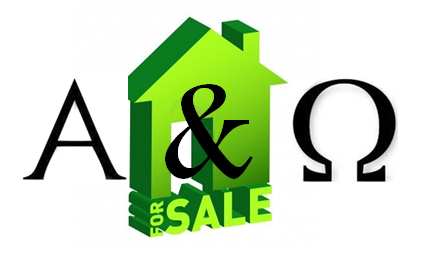 One word of caution though: If you are about to get the short sale approval your home, do not spend money on expensive renovation as your lender(s) will receive all the proceeds of the sale and future owners the benefits of your investments. Tip #1: Clean and de-clutter your home to expose every single square inch of your house to potential buyers. Remember to wax and repair your hardwood floor in particular and shampoo or replace your carpet where required. Clean and "lean" homes sell 2-3x times faster on average. Tip #2: Enhance your home curb appeal. An unappealing front yard will discourage potential home buyers from entering or at worse give them a bad feeling from the start. It will also incentivize them to renege on prices. Minimal landscaping does the job pretty well. Tip #3: Complete unfinished renovation and upgrades. Not only your home will command a higher asking price but will alleviate concerns for potential buyers who dream of nothing more than buying move-in-ready homes, especially over-busy Silicon Valley families. Tip #4: Be opened to major improvements. Every Silicon Valley Realtor will tell you that kitchen and bathrooms layouts and upgrades are generally the 2 key factors that sells a house. If any of those areas of your home are outdated, you should seriously consider updating them. Tip #5 : Stage your home. There is so much you can do on your own. External advice is always good to take. Your realtor (with the help of professional stager if needed), will help you make your home look bigger, brighter and cleaner from every angle. He or she will help create an emotional connection between your home and potential buyers, make them feel at home...at your place.